Love the look of this stunning toddler bed? It’s the latest release from Oeuf, and we can let you know where you can pre-order yours. The brilliant minds at Oeuf just never seem to put a foot wrong. 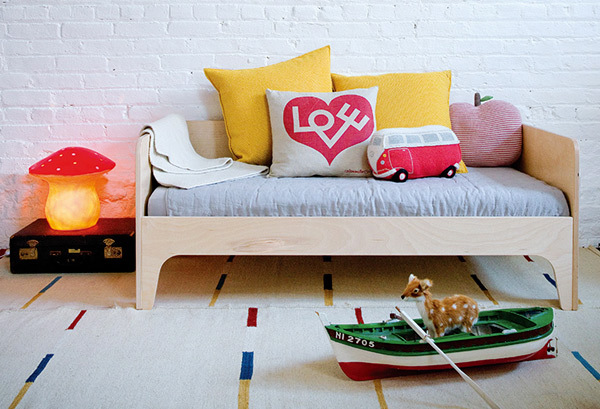 And once again this beautiful brand has managed to create another stunning children’s bed. The Oeuf Perch Toddler Bed is the perfect size for little ones transitioning to a “big bed”. It has a low mattress position, so it’s not too high off the ground for a small child to get in and out of. And the beauty of this toddler bed is that it can also be made into a children’s sofa by taking off the security rail (pictured at the top of the post). 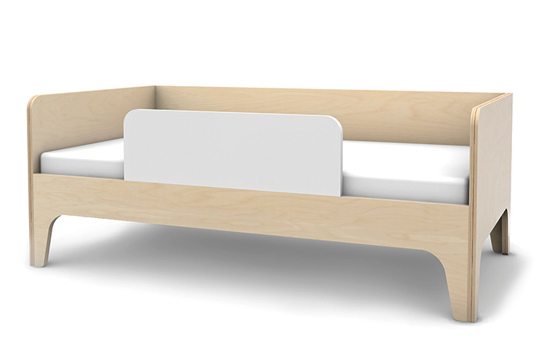 Australia’s Kido Store is currently taking pre-orders for the Oeuf Perch Toddler Bed, which will retail for $599. Delivery is expected in October. If you love this latest Oeuf offering, have a look at the Perch Bunk Bed, which is also available from Kido Store.